One day when I was at work, late in the evening, I was in the office charting and listening to the nursing assistants talking in the hall. Something was said about getting a strong guy to do something manly like moving heavy objects. Then one of the young women (I’m guessing she was around twenty years old) said, “What about a strong girl?” Then she said something that got my attention: she said, “I’m not a feminist but, …” I am not sure what she said after she denied being a feminist. I was somewhat shocked. That’s when I started to feel a bit older, much older than her. This young woman (girl, perhaps) is not a “feminist” because she doesn’t have to be. Other women (and men) already did the work for her. She can go to school, go to work and vote without fighting for the right to do so. She can live without being connected to a man. She can live on her own is she so chooses. She probably has no idea what it means to be a feminist, or what it meant. I don’t even really know. I had choices when I was born. This reminded me of a time in my feminist theology class when one of the women in the class made a point about how things might be different if women still stayed home. At the time I was young and feisty and thought her comment stupid. I thought: but YOU are HERE getting a college education and not at home taking care of the house and the children. Of course, she probably lived in the dorm and did not yet have a man or any children. Maybe she was just making a point. Maybe she was just at the university to find a husband. Now that I am older (by about twenty years) I think things would be different if one parent stayed home. Staying home to take care of the home and the children is valuable work. It is important work. There is nothing anti-feminist about doing woman’s work. I do woman’s work everyday and it is a mostly thankless job. I even do woman’s work at work since I am a nurse. I was fortunate in that my mother stayed home until I was around eight years old. I ate real food, food that my mother cooked. 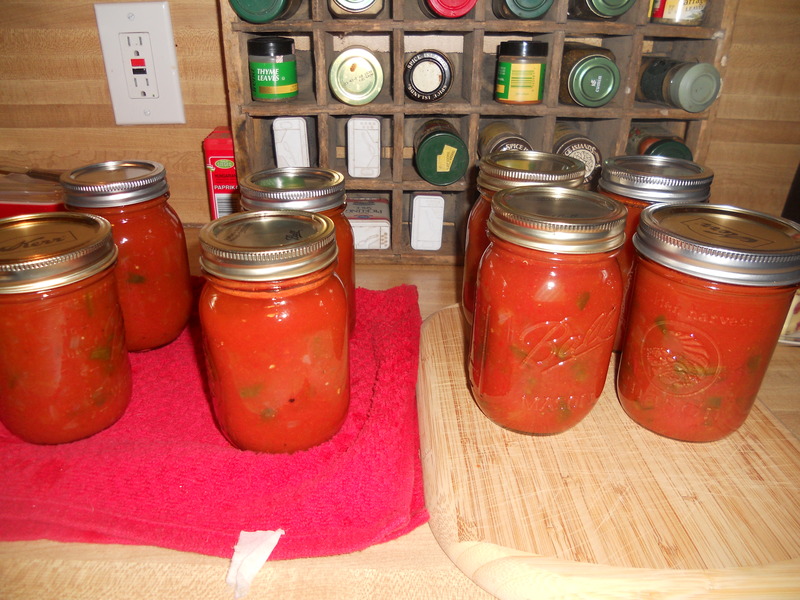 She cooked, cleaned, canned and worked in the garden. She was a homemaker. This is important, valuable work. The older I get the more I think I may be of the last generation of women, in this country, who learned to cook from their mothers. One example I have of this is a young woman’s statement. She was eighteen when she stated: “we don’t know how to cook it.” She was talking about chicken. Yes. Chicken. I was speechless. I decided the poor girl needed a Betty Crocker cookbook as a reference manual. If you can’t ask your mom what to do you can always ask Betty. The never ending jobs of dishes, laundry, cooking and cleaning are woman’s work. Who is going to do it if the women don’t? Maybe the men, maybe the children. Maybe the dishes will just keep piling up in the sink and the kids will just go buy cheeseburgers. 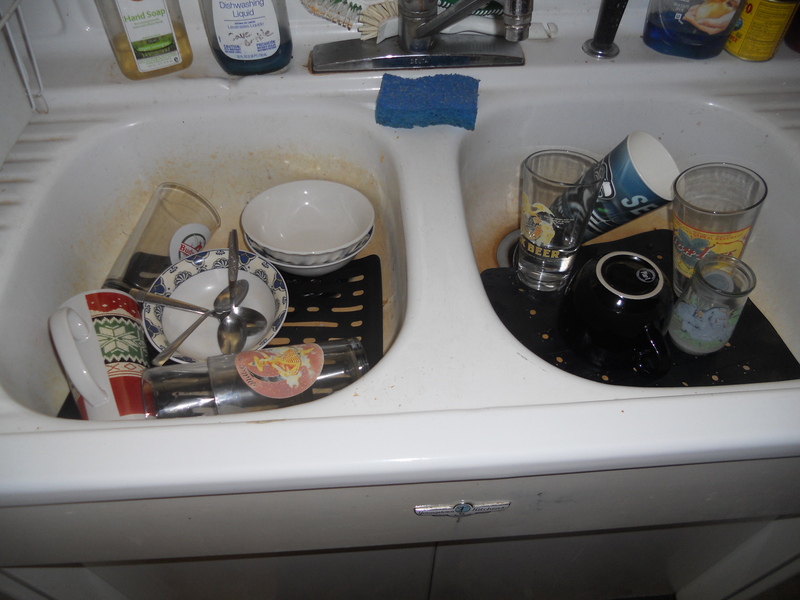 The dishes will still be there tomorrow. Caring for people and feeding people is important work. Keeping the house clean is important work. This work is just as important as “going to work.” Woman’s work will always be there. You don’t have to go anywhere to find it, all you have to do is get out of bed. See the sponge? YOU can wash the dishes! 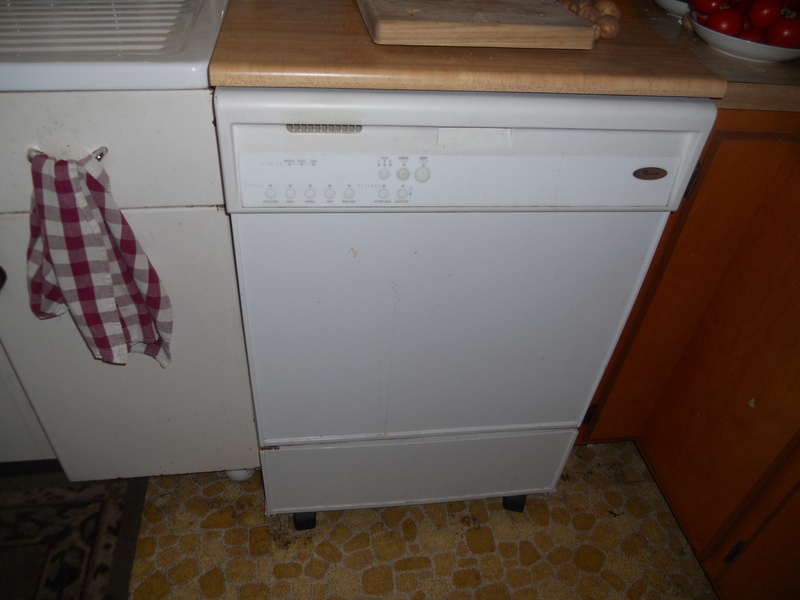 See the dishwasher (mysterious appliance next to the sink)? YOU can rinse your dishes and put them in there! 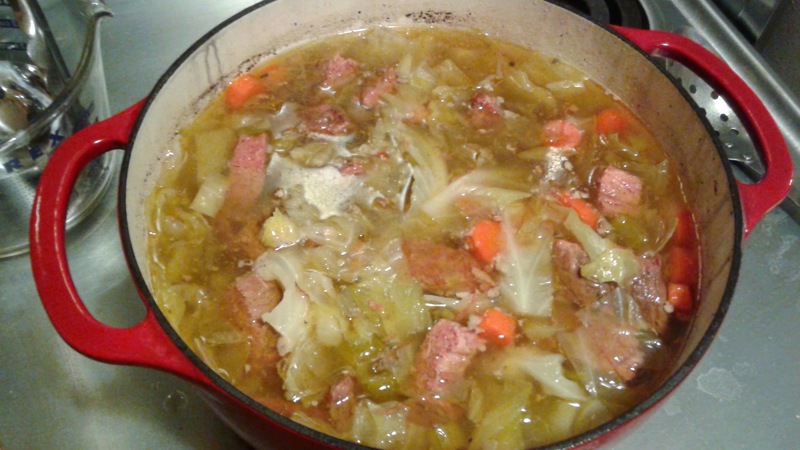 This entry was posted in waxing philosophical and tagged blog, children, cleaning, cooking, dishes, feminism, feminist, homemaker, housework, laundry, value of work, woman's work. Bookmark the permalink.